There are over 6,800 languages spoken in the world. Armenian is one of the oldest of these living languages. It is the official language of the Republic of Armenia and other regions in the Caucasus. It is also the mother tongue of the Armenians living in the Diaspora including about 40,000 Armenians who live in Australia. Thus, for Australian-Armenians, a knowledge of the Armenian language serves a dual function. Firstly, it is the main medium of communication with other speakers of Armenian within Australia and with other Armenians throughout the world. Secondly, the multilingual and multicultural society of Australia, with a wealth of languages and cultural resources, is a unique treasure that enables Australia to engage in cultural, academic, artistic, commercial, industrial and diplomatic enterprises on an international level and Armenians are proud to be part of this. An understanding of their national language and heritage allows Armenians to participate fully in and integrate better in every aspect of Australian life. Language provides access to a very significant part of a people’s culture, tradition, attitudes and values creating harmony, balance, understanding and tolerance. Modern Armenian has two dialects, a Western and an Eastern branch. Both dialects are spoken and taught in NSW, but the A.G.B.U. Alex Manoogian School mainly teaches the Western branch of the language. Location: Mercy College, 101 Archer Street, CHATSWOOD, NSW 2067. Classes: Kindergarten (3 years and 6 months of age) to Year 7. There are plans to develop adult classes for interested students and special classes to provide guidance, assistance and education for those students who choose Armenian language as an HSC unit. Timetable: Every Saturday from 1:30pm – 5:00pm with a recess from 3:00 – 3:30pm. Uniform: Summer Girls – White AGBU polo shirt, navy skirt, white short socks and black shoes. Winter – There is the addition of the navy AGBU sweat shirt in winter for both boys and girls. Girls may also wear navy or black trousers. 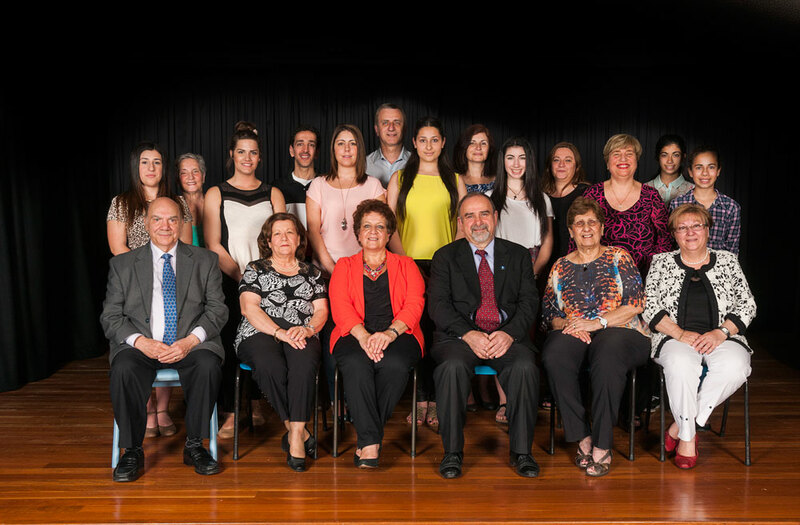 Responsible Body: The Sydney Chapter of the Armenian General Benevolent Union. Provide students with a learning experience focussed on linguistic achievement and the development of an acceptable strong sense of individual and social responsibility with the Armenian community and the Australian society at large. Provide students as much as possible, with the participation of their parents, learning and social skills they will need to maximise their potential in the future. Student Body: Students attending the Alex Manoogian School are of Armenian descent. Children over the age of 3 years and 6 months are eligible to enrol. A certain proportion of students are children from mixed marriages. Thus there is considerable divergence in the amount of Armenian that the children are exposed to at home. This is a factor that the teachers have to take into account in terms of assumed knowledge and the setting of homework. 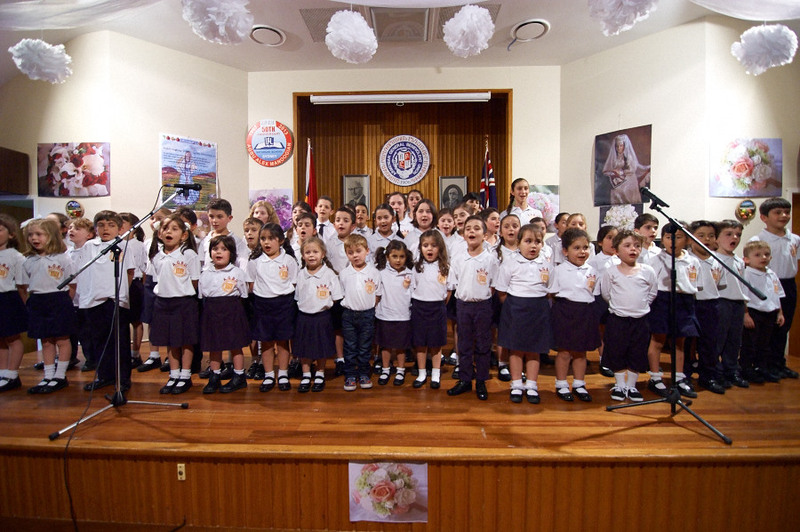 The expectation of all parents sending their children to the Alex Manoogian School is for the children to be given a good foundation in Armenian language, history, religion, culture and tradition which will enhance in them the sense of being Armenian Australians. Staff: The primary requirement for the teachers at the Alex Manoogian School is that they be proficient in Armenian and have experience in teaching children at kindergarten and primary school level. The School currently has 14 teachers several of whom have been teaching at the School for more than 20 years. This shows their dedication and commitment without which the School could not operate successfully. Resources: A variety of textbooks from different sources such as Armenia, Lebanon, the U.S. and Venice have been used at the School. Contacts are currently being established with educational bodies within the Armenian community in Lebanon, where all the necessary resources are available or can be tailored to our needs, ready to be shipped on demand. Additionally, grammar workbooks and Anthologies of Armenian literature have been prepared locally to supplement the above. Other relevant audiovisual materials such as films, slides, maps, photographs etc are provided by the teachers as needed. Preservation of the Armenian language, heritage, cultural values, attitudes and socio-cultural understandings. Development of communication skills in Armenian. Dissemination of knowledge and understanding about Armenian issues. These goals are achieved through the use of a traditional approach to the teaching of language. Armenian History, Culture, Religion and Heritage. Based on the information thus acquired about student achievement and performance, the teachers review their performance and that of their students and devise strategies to achieve better results. At the end of the academic year, high achieving students are awarded merit certificates. Special recognition awards are given to students for their socio-cultural and linguistic achievements. © 2015 AGBU. All rights reserved.